In the year of 1981, God was moving in the life of a minister whose name was Reverend Johnny Kelly. Reverend Kelly was given a vision and determination sanctioned by God to organize a church. This he did in his home at 3014 Nita Street in Houston, Texas. The few laborers in God’s vineyard bonded together and formulated plans to organize a church in the “Sunnyside” area of Houston, Texas. Reverend Johnny Kelly presented the name, Paradise Missionary Baptist Church, and the name was unanimously accepted. Reverend Johnny Kelly and the dedicated group looked around the “Sunnyside” area for a place to worship. A storefront building was discovered by Reverend Johnny Kelly located at 4302 Stassen Street, Houston, Texas. By October of 1981 the building was prepared and ready to facilitate Worship Services. On October 25, 1981 the first church services were held on that day 17 persons joined, many were children. Through the missionary work of the Pastor and the membership, God began to give the increase. 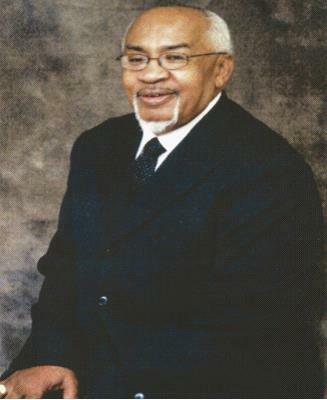 On June 27, 1982, Reverend Johnny Kelly was installed as pastor of Paradise Missionary Baptist Church. In 1984 the land was obtained at 3605 Tangerine Street, our present location. Construction at 3605 Tangerine was completed in 1986. The first service was celebrated in March 1986. Through the leadership of Reverend Johnny Kelly the church experienced tremendous growth spiritually and physically, we were “A church small enough to need you and large enough to serve you.” In September of 1992, we were blessed to secure the property that was adjacent to the 1st Sanctuary to accommodate the growth of our church and in February of 2007 our present worship facility was completed. On November 12, 2012 our Almighty God stepped in and called our much beloved Founder and Pastor, the late Reverend Johnny Kelly, home from the labors of this life. Paradise Missionary Baptist Church is moving forward with God’s agenda for God’s church.